In December of 2010, I started a website called Pretender to the Power. I was recently back to school and thought I had a little free time on my hands. Not so. Instead of learning how to blog, I spent much of my time with my Asus PC EEE 700 series machine trying to get a handle on Linux. Today, I found that little machine shoved in a drawer. I plugged it in and booted up. It worked. It has 512 MB of RAM, 4 GB on a SSD with an actual 8 GB SD card for supplemental storage space runs at 800 mhz and as a 7" screen. It's a Kindle Fire without the touchscreen. Or a Fire with a keyboard. Well, not quite. The Fire is on the left. Both had their uses but I find myself using my Chromebook for most tasks. How things change. I purchased the EEE PC for $138 back in 2009 on NewEgg. It was an open box return. For less than 200 bucks, I figured I could take a chance. It came with two 8 SD cards, a sleeve and the charger. Out of the box, it ran Xandros. Xandros served for a time but I out grew it. 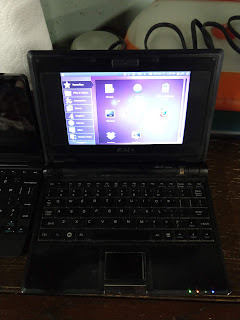 I ended up running Netbook Remix, Ubuntu 10.10. It was simple, clean and invigorated my curiosity about Linux. I never really looked back. My current Chromebook has a copy of Linux hiding in the Crosh. I recently updated my C710-2487 Chromebook from 4 to 8 Gb and my first thought was to transfer the old ram to the Asus. No dice. Wrong type. 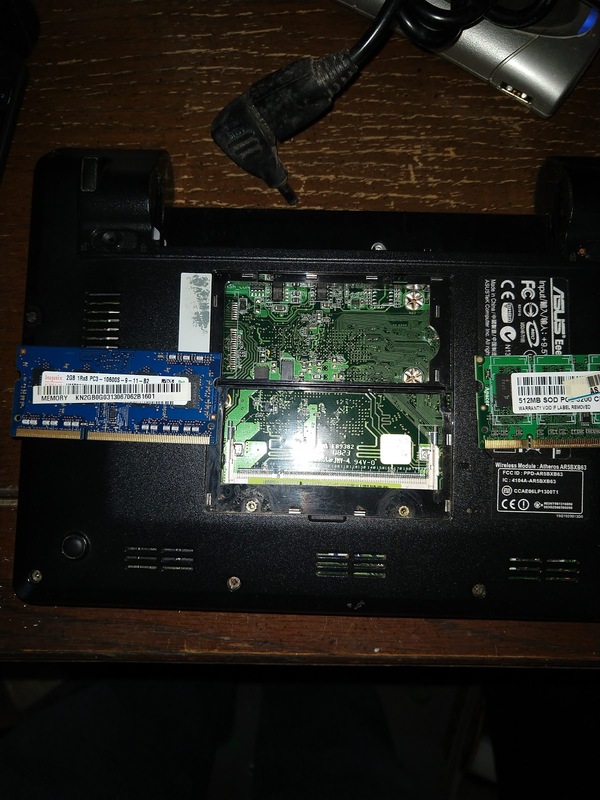 Of course, I found 3 other 512 mb RAM chips lying around, but with a single slot, that is no help. 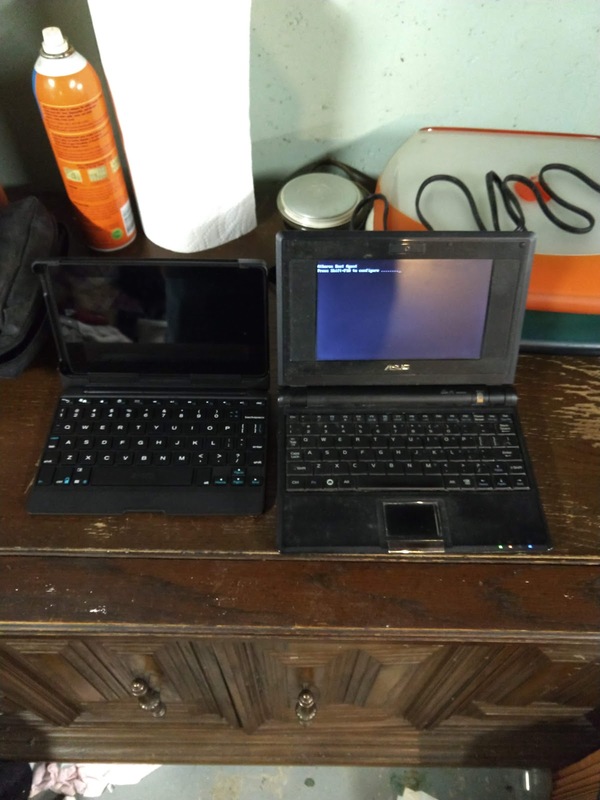 I am trying to decide if I will keep my old Asus or let it go. Not sure. In the image above, note the large empty space begging for some new gadget to be installed. Oh... the pain of being a nerd.